The Milwaukee Brewers collected 19 hits on Sunday, yet still fell to the Atlanta Braves 8-7. 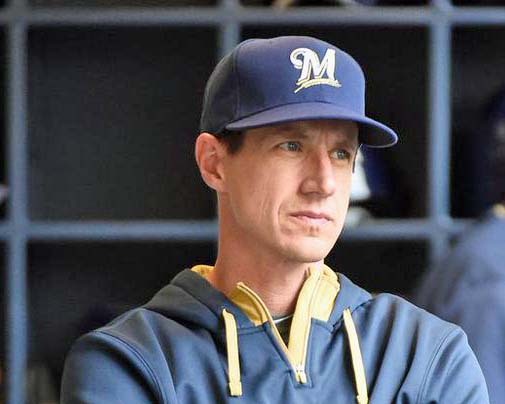 Brewers starter Chase Anderson struggled from the start and made it through just four innings before manager Craig Counsell was forced to go to the bullpen. It’s the second straight outing that Anderson has been unable to make it to the fifth inning and protect a lead. 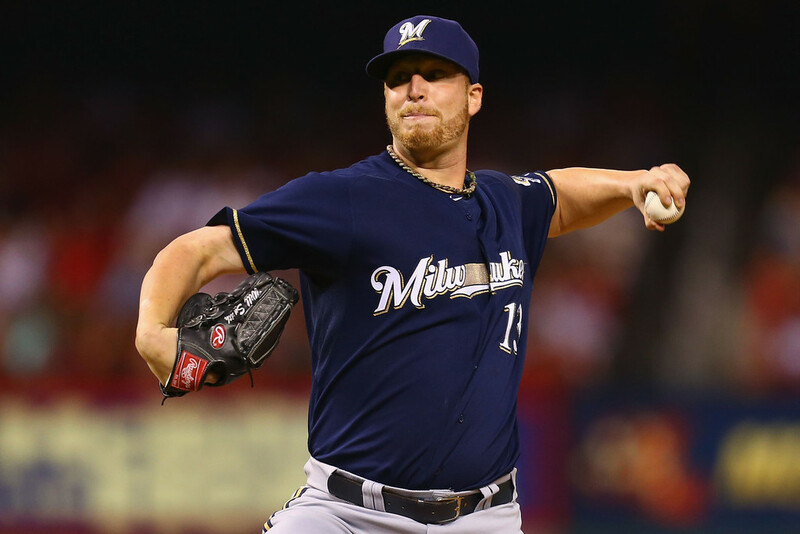 Corey Knebel, who is no longer working in a closer capacity was entrusted with the fifth inning and he proved he wasn’t able to handle that spot either. He allowed a run after a pair of one-out doubles by Freddie Freeman and Nick Markakis. Rookie Corbin Burnes coughed up a two-run homer in the sixth and Atlanta’s Ozzie Albies finished off the Braves comeback with a leadoff homer in the bottom of the seventh off of Dan Jennings. 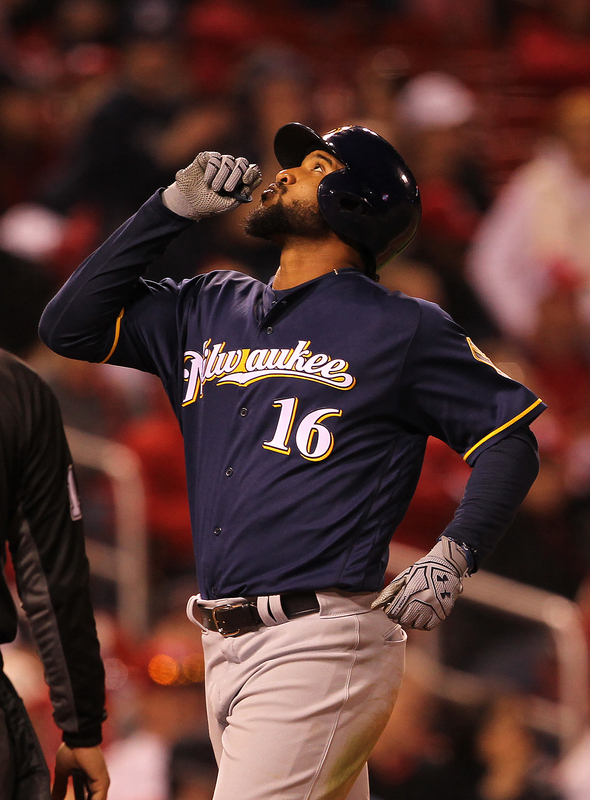 The Milwaukee Brewers reached the month of May with a .500 record, and avoided a sweep at the hands of the Braves, thanks to the efforts of Domingo Santana. The young right fielder hit two home runs and accounted for all of Milwaukee’s runs in a 4-3 defeat of the Braves at Miller Park on Sunday. Santana, who had been hitting .169 coming into the weekend series, crushed a solo home run off the video board in deep center to tie the game at one in the fifth. An inning later, Santana snuck his second homer of the day, a three-run shot, over the wall in right-center to hand the Brewers a 4-2 lead. After also hitting a home run in Friday’s loss to Atlanta, the 24-year-old Dominican now has five on the season. Milwaukee finishes the season’s first month at 13-13, a win total that equals the number of April wins in the last two seasons combined. What was a competitive pitcher’s duel in Atlanta spun out of control for the Milwaukee Brewers Thursday when relief pitcher Will Smith was ejected for a foreign substance on his right arm in the seventh inning. Milwaukee’s bullpen would fall apart after the ejection, allowing six more runs in what amounted to a seven-run inning and led to a 10-1 Braves win to open a four-game series. Smith entered the game with the Brewers trailing 2-1 and runners at the corners. He then hit the first batter he faced to load up the bases. Atlanta manager Freddie Gonzalez then notified the umpires of a shiny substance on Smith’s right arm a couple pitches into the next at-bat. Milwaukee Brewers starting lineup, opening the 2012 season at first base. About a month in, Gamel blew out his knee while chasing a foul ball in San Diego. His career has been plagued by injuries and one wonders if this is finally it? Gamel followed that injury in San Diego by tearing his ACL again last spring and eventually was picked up off waivers by the Chicago Cubs. Chicago released him a short time later and Gamel signed a minor-league deal with the Atlanta Braves. Gamel was attempting to compete for a spot on Atlanta’s bench. But while working out in advance of spring training, Gamel suffered another knee injury and has been released by the Braves. Does Gamel have anything left to try to make yet another comeback? 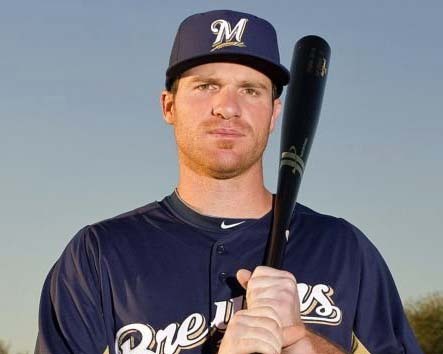 Gamel was a fourth round pick by the Brewers in 2005 but hit just .229 in 106 career games with the Brewers. A rough first inning Sunday prevented the Brewers from notching their first series sweep since mid-April. They fell to the Braves 7-4 at Miller Park.